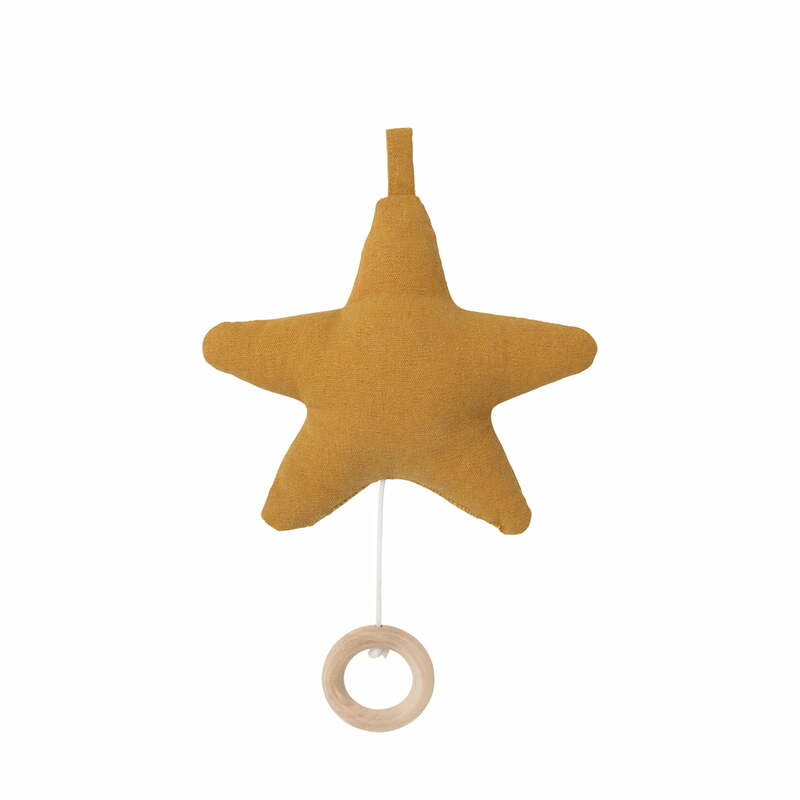 The Star music mobile by ferm Living guarantees a relaxing and peaceful night's sleep. The mobile features a soothing lullaby by Brahms that accompanies your child as they drift off into the clouds. 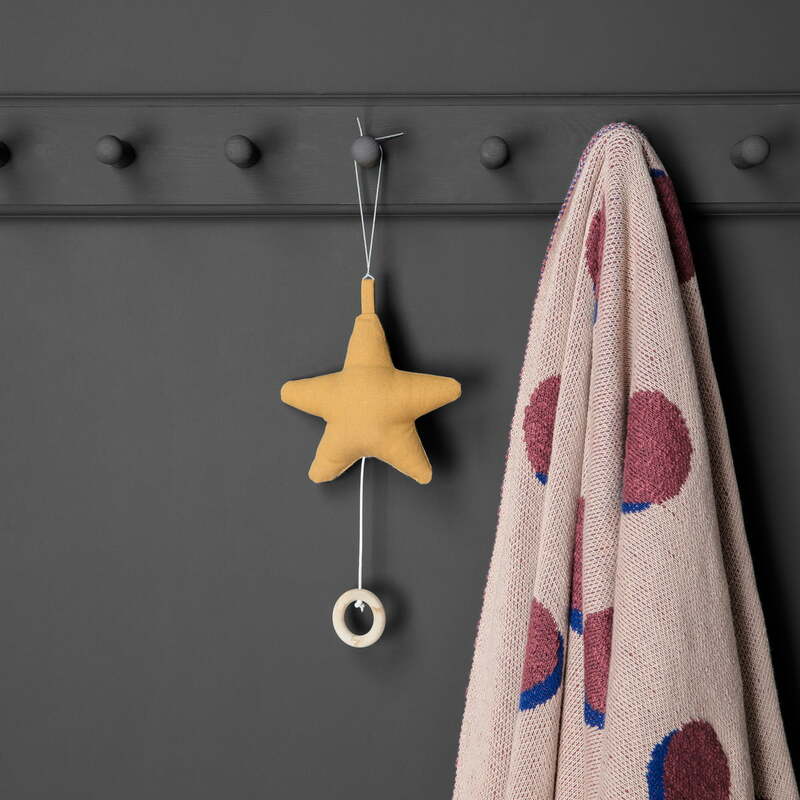 The soft music mobile is made from 100% organic cotton while the filling consists of polyester. Hung near the child’s bed, the cord that activates the music is easily pulled thanks to a small loop.